This E table helps me do my work easier. This product has a wide application, can't only be used as cooler, but also as a laptop/reading table in family and school, in an office or wherever you want to work. This is easy to use, set up in seconds, super thin, very light, extra strong and sturdy, it can carry a maximum load of 25 kgs. This is foldable in desk and legs, small in volume. 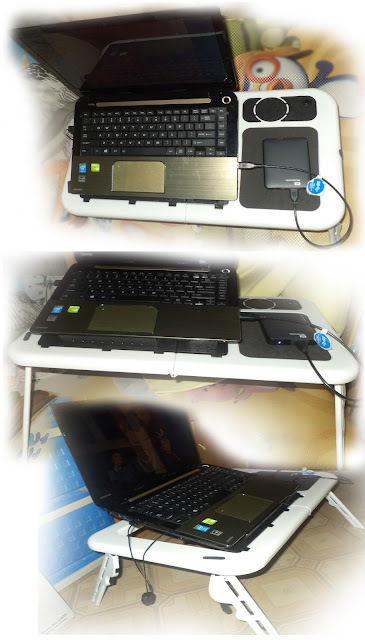 The structure is suitable for any sized of laptops , legs are adjustable to any comfortable angles when in use. My rating for this product will be 5 stars.